The Daily GRRR! HEADLINES for Jan. 20, 2015. 1. Feds try to block NAFTA from studying impacts of tar sands tailing ponds. 2. Stanford scientists say costs of climate change have been way underestimated. 3. 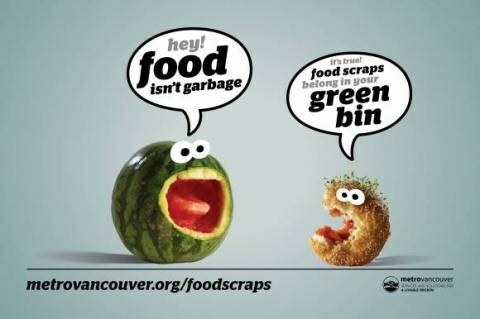 Vancouver aims to fill green bins by making it illegal to trash food scraps. 4. Quebec town could face legal action for mishandling “major” local oil spill. 5. Review of psych wait times in Ontario jails kept secret by provincial gov. 6. Intergenerational retirement home benefits students and the elderly alike. Welcome back to SoundFM! You are now listening to The Daily GRRR! on the air every weekday morning from 9-10 a.m. here at 100.3fm, CKMS in Waterloo, Ontario, and SoundFM.ca on the web. This is Kathryn and I’ll be your host on this Tuesday morning show for January 20th, 2015. As reported by the Council of Canadians, the Harper government is trying to block a weak environmental commission - set up under the North American Free Trade Agreement (NAFTA) - from examining the environmental impacts of the 176 square kilometres of toxic tailings ponds produced by the northern Alberta tar sands. The CBC reports that "it appears Mexico and the U.S. will go along with efforts to stop a formal investigation," while the Canadian Press has previously reported that " investigation only proceeds if a majority of member nations approve it. The commission has little or no enforcement power even if it does conclude a nation isn't living up to its environmental laws." At best, a factual record would be written on the situation, but not action would be taken. The CBC article further explains that three people from Alberta, Saskatchewan and the Northwest Territories, along with Environmental Defence and the Natural Resources Defense Council, want the Commission on Environmental Co-operation to determine if Canada is violating the Fisheries Act by failing to prevent these tailings from leaking into the Athabasca River and nearby creeks in northern Alberta. The Commission on Environmental Co-operation was established in 1994 so that NAFTA proponents could say that trade liberalization would be accompanied by environmental protection. It was meant to mitigate public concern about the trade deal by creating a mechanism that could look into public complaints about violations of national laws intended to protect the land, water and air. But if anything, its track record has proven the exact opposite: Between 1994 and 2012, 80 complaints have been filed with the commission, but 85% of those submissions have been dismissed or terminated. Meanwhile, these toxic tailings ponds continue to leak. An Environment Canada study released in February 2014 estimated that one tailings pond dam was leaking 6.5 million litres of polluted water a day into the fresh groundwater systems in the area, and computer modelling suggests that a total of 11 to 12.6 million litres of toxic contaminants leak from the tailings ponds each day. "We estimate that the social cost of carbon is not $37 per ton, as previously estimated, but $220 per ton," said study co-author Frances Moore, a PhD candidate in the Emmett Interdisciplinary Program in Environment and Resources in Stanford's School of Earth Sciences. Based on the findings, countries may want to increase their efforts to curb greenhouse gas emissions, said study co-author Delavane Diaz, a PhD candidate in the Department of Management Science and Engineering at Stanford's School of Engineering. "If the social cost of carbon is higher, many more mitigation measures will pass a cost-benefit analysis," Diaz said. "Because carbon emissions are so harmful to society, even costly means of reducing emissions would be worthwhile." As reported by Salon.com, food waste is one of the biggest environmental problems that we can actually help fight on a daily basis. The United States alone throws away around 30 million tons of food every year (which is pretty despicable considering how many people don’t have enough to eat). When food is thrown into a landfill and begins to decompose, it becomes a major producer of methane – a greenhouse gas that is 21 times more harmful to global warming than carbon dioxide. In fact, landfills produce over 20% of all methane emissions in the U.S. So the city of Vancouver has decided to take action against waste by making it illegal to throw away food scraps. Metro Vancouver has been posting signs all over the city to publicize the ban, which went into effect on January 1. As reported by CBC News, the City of Longueuil could be facing legal action for the way it handled a major oil spill within city limits last week. Early Wednesday morning, equipment failure at a waste water treatment centre caused 28,000 litres of diesel to spill into the St. Lawrence River. According to Radio-Canada, the diesel spilled into the sewers from a generator and made its way into the river. The problem appeared at about 4 a.m., but the ministry wasn’t notified until just before 9:30 a.m. A ministry official told CBC that by the time an emergency team arrived on the scene — which was about 6 hours after the leak occurred — it was too late to stop the spill. The ministry has said that drinking water supplies derived from the river have not been found to have been affected, but a spokesman for the environment ministry said an investigation is now underway and will determine the extent of the contamination, including whether or not there have been any adverse effects on wildlife in the river area. As reported by The Toronto Star, Ontario has completed a review of wait times for inmates seeking psychiatric treatment in provincial jails, but the corrections ministry is keeping the results to themselves, completely unaccountable to any public oversight. The ministry committed to the review as part of a landmark settlement reached in September 2013 with Christina Jahn, an Ottawa prisoner with a mental illness and terminal cancer who was kept in solitary confinement for more than 200 days. A ministry spokesman has said that the review of wait times will be used to “inform the ongoing work that we are doing to transform the correctional system,” but it will not be made public because it allegedly contains “confidential information”. The ministry would not say what kind of confidential information the report contains or explain why the wait times could not be isolated and provided separately from the review. “That makes no sense,” said Paul Champ, an Ottawa lawyer who represented Jahn in the case before the Human Rights Tribunal of Ontario. “If the ministry knows these wait times, the hard data should be disclosed so it can be reviewed and discussed by the public and experts in the field.” Having a baseline measurement of psychiatric wait times across Ontario would help experts in the field assess the impact of the ministry’s changes in the coming years, and making that information public would enhance accountability, Champ argued. The ministry has changed its policies, he noted, “but we don’t know that they’ve changed their practices.” The promised “public interest remedies” — or “Jahn remedies,” as they have since become known — were detailed in a six-page document signed Sept. 24, 2013, with deadlines ranging from six to 18 months, and these commitments include: screening all inmates for mental illness; training front-line staff on mental health issues; measuring the need for a psychiatric treatment centre for female prisoners; and only using solitary confinement as a last resort for people with mental illness. As reported by CTV News, a unique project has been instituted in the city of Deventer, in the eastern Netherlands, whereby a number of young university students have accepted the opportunity to live in a yellow-brick retirement home as housemates to some of the city’s elderly residents. Conceived as an arrangement that would meet certain difficult needs for both groups, the cash-strapped university students pay no rent and in exchange spend at least 30 hours a month with some of the 160 elderly folks who live here, doing the things professional staff cannot always do ~ such as just hanging out. As the head of the Humanitas retirement home explained, "It's important not to isolate the elderly from the outside world. When you're 96 years old with a knee problem, well, the knee isn't going to get any better, the doctors can't do much. But what we can do is create an environment where you forget about the painful knee." While retirement homes in many European countries lack enough rooms for an aging population, budget cuts by the Dutch government have made it increasingly difficult to get a subsidized place, leaving some with more rooms than they can fill. The sharing idea has resonated in a country where many people do volunteer work, and other retirement homes are coming up with their own variations on the theme. So-called "intergenerational" projects are also springing up elsewhere in Europe, and in Britain, a commission recommended in September that new housing for the elderly and disabled should be incorporated into shopping developments, new apartment blocks, and even universities to prevent the elderly from being cut off in "care ghettoes". "The old model saw care homes as isolated institutions where things were done to you rather than for you and were islands of misery," said Britain’s former care minister. "Care homes that are cut off from their communities aren't real homes," and that’s the miserable retirement home legacy that intergenerational programs like these are seeking to remedy.